Following Sunday's attack in Toronto's Danforth area, in which authorities said 29-year-old Faisal Hussain killed an 18-year-old woman and a 10-year-old girl and wounded 13 others, the city's mayor renewed calls for tougher restrictions on firearms. "My personal perspective. I don't own a gun and I can't see why anyone else would," said Vaughan, parliamentary secretary responsible for housing and urban affairs. "It is different in rural Canada. I understand the argument of hunters and fishers, but no one is using handguns to cull the raccoon population in Toronto," he said. "Handguns are being used to kill people in Toronto, and quite frankly we've had enough." Investigators said they retrieved a handgun from the shooting scene in Toronto. But it's not yet known whether the gun was legally obtained. 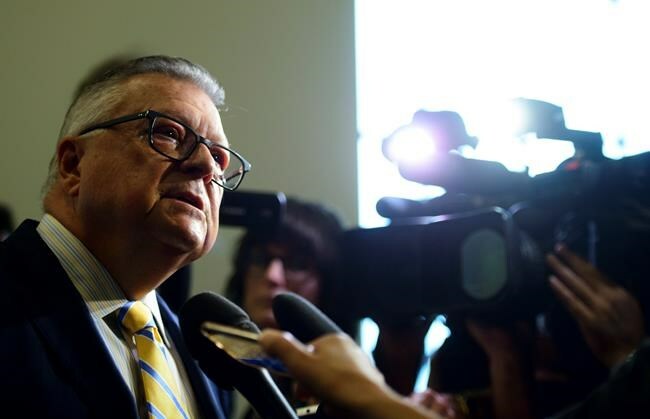 The Trudeau government's firearms legislation, Bill C-71, would expand background checks to look for red flags over the entire life history of gun licence applicants, rather than the current requirement of scouring the past five years. Under current rules for obtaining a Possession and Acquisition Licence, or PAL, the Mounties conduct extensive checks of records pertaining to an applicant's criminal activity, domestic violence, addictions and mental health.